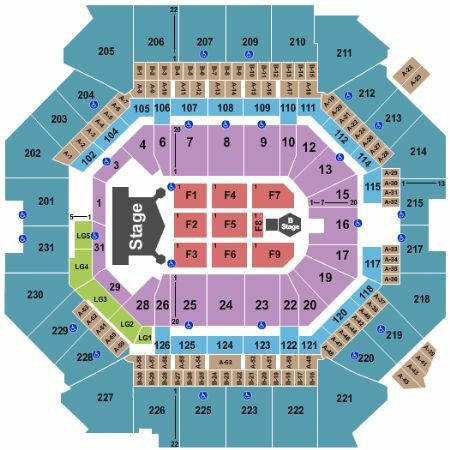 Kiss Brooklyn Tickets - 8/20/2019 - Barclays Center at Stub.com! Aisle seats if entire quantity is purchased. First row in this section. Standard Hotel Package includes: Two night stay at a four star New York City property (check-in day before event, check-out day after event) | Premium reserved lower level (non-Floor) ticket located in the three sections closest to stage (orders of three or more may be split) | Private pre-show hospitality featuring food and drinks | Specially designed tour merchandise| Detailed itinerary | Additional hotel nights or specific days may be obtainable upon request | Rate is based on double occupancy | Orders for a quantity of one are subject to an additional charge |. Deluxe Hotel Package includes: Two night stay at a four star New York City property (check-in day before event, check-out day after event) | Premium reserved floor ticket in first fifteen rows of stage (orders of three or more may be split) | Roundtrip airport transfers | Private pre-show hospitality featuring food and drinks | Specially designed tour merchandise | Detailed itinerary | Additional hotel nights or specific days may be obtainable upon request | Rate is based on double occupancy | Orders for a quantity of one are subject to an additional charge |.